Would You Pay $700 For A Haircut? I’ve experienced a wide range of hairdressers in my time. From haircuts in the kitchen thanks to my Mum, to not-so-pleasant experiences at those budget places that “just” cut, to way more fancy places that actually employ professionals to do the job. It’s no surprise that I prefer the last option, although those primary school haircuts a la my mum, weren’t actually that bad when I look back on it. Are all haircuts created equal? I think the answer to that is pretty obvious. No. They’re not. But how much would you pay for a haircut? I used to think $60 was my limit. Then it became $140. Now… Well, now I don’t even know. 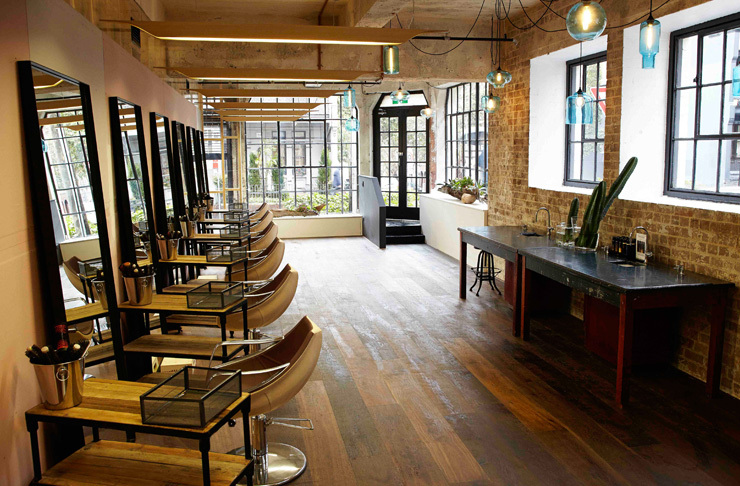 At RAW Hair in Sydney’s Surry Hills you can get a haircut ranging from $40 from a 2nd year apprentice stylist all the way to $700 for a cut by Anthony Nader. But what would make someone want to fork out 700 dollarydoos for a single haircut? I decide to take one for the team (I didn’t need convincing) and get my hair cut by Anthony Nader himself. I’ll admit that for some reason unknown to me, I become the world’s most awkward human when interacting with hairdressers. It could be the combination of hair shame mixed with talking while being able to see your face in a mirror (“is that what I look like when I talk?”). Strangely, I was so comfortable with Anthony from the get-go that it made me instantly relax and opt for the “crazier” of the two suggestions he had for my hair. I didn’t even shed a single tear when he started cutting the bra-length hair I had painstakingly grown for my wedding up to above shoulder height. You’re cashed up and $700 to you is the equivalent of buying a coffee to us “normal” people. You want to do something drastic with your hair but want the advice and skill of a total pro. You get your hair cut only a once or twice a year, so it kind of works out. In about an hour and a half (world’s best head massage and treatment included), my hair was ready to see the world. And I tell you what, it was the best haircut I’d ever had. And it wasn’t just me who thought my hair looked bangin’—that night, a random girl told me she loved my hair, which basically affirms everything. Plus, a few weeks in, my hair still looks good and I’m even using the styling tricks Anthony taught me (which is a huge feat because I’m not one for styling my hair on a day to day basis). c) Is in your budget… Or, at the very least, you can justify the price you spend on them. So whether you’re paying the big bucks for Anthony Nader or going for a less expensive stylist, it really doesn’t matter as long as you love the results.